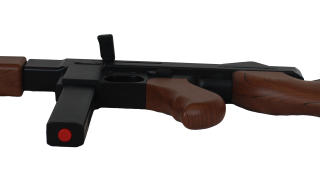 The Ilium Developer Kit is a physically realistic, tracked rifle controller system for the Oculus Rift. The Ilium Developer Kit is a tracked rifle controller system for the Oculus Rift. 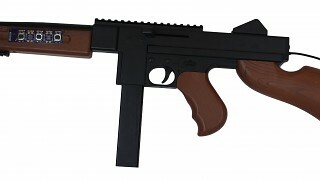 The kit includes a rifle controller and a head mounted tracking sensor(with mount). 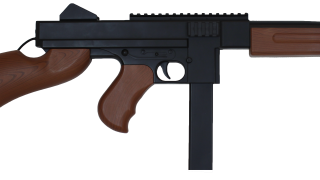 The rifle controller is modeled after the infamous Thompson M1 "Tommy Gun" and has force feedback, a reload button, functional slide, action buttons, and a joystick for locomotion. 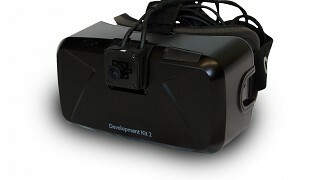 The kit integrates seamlessly with the Ilium VR Runtime and SDK for Unity and Unreal. Get started today making immersive VR shooters!